Ten years ago we got our first dutch oven as a wedding gift. You could say it’s a metaphor for our marriage: strong, dependable, occasionally gets rusty when it’s been neglected, but is good as new after being re-seasoned. A good marriage and a good dutch oven are up there on the list of things that can bring happiness in life. That dutch oven also came with a little recipe booklet. For years, we let that booklet guide how we made one of the most iconic dutch oven recipes: peach cobbler. 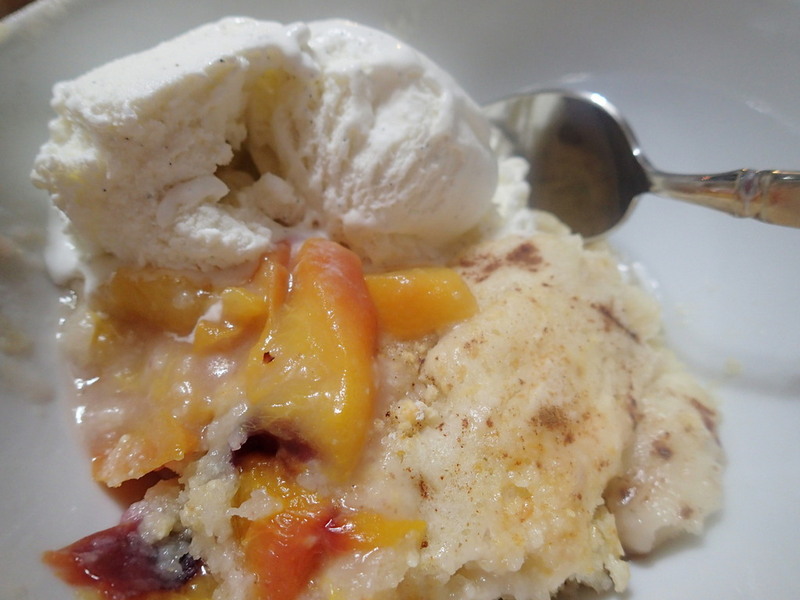 The recipe was named “Lazy Peach Cobbler” and was what you would call a “dump style” cobbler. 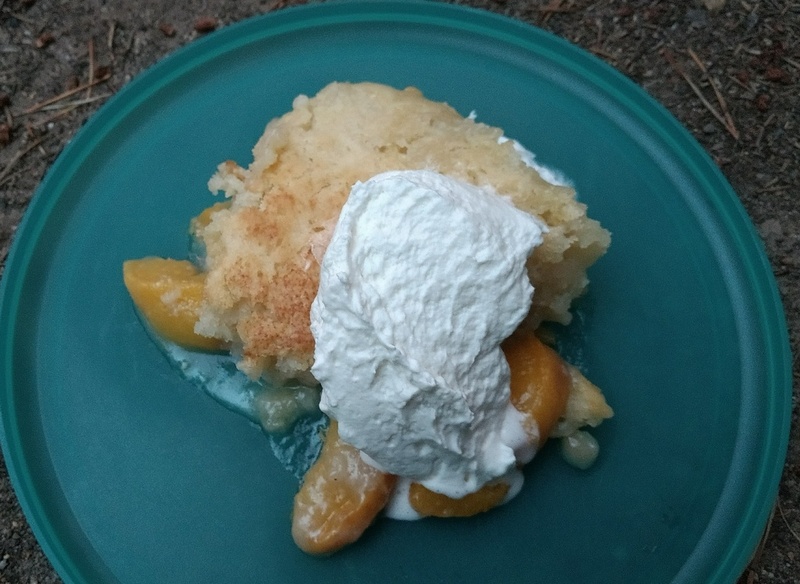 You threw a couple cans of peaches into the bottom of your dutch oven, sprinkled it with a cake mix, and then dropped some butter pats on top. It was super easy and tasted mostly alright, but there were always dry spots of mix that weren’t completely appetizing. Still, we didn’t branch out because, well we were being lazy. Now we know better. After years of easy, but sub-par cobblers we decided we’d had enough and invested more time into cobbler making. After a lot of experimentation we discovered something surprising: it didn’t take that much more effort to make the cobbler of our dreams. The method we landed on was only slightly less lazy, but infinitely better tasting. This version will produce a cobbler with a completely homemade tender, cake-like topping that will impress your friends and family and you will be amazed at how easy it was to bake. When the charcoal is almost ready to use, begin assembling the cobbler. Dump the peaches, including the syrup, into the bottom of a 12" dutch oven. Pour the mix you made at home across the peaches. Sprinkle the top with cinnamon. Drizzle the 1/2 Cup of water across the top. Put the lid on top of the dutch oven.